Is Your Internet Getting Slower? Do you feel like it takes forever to download a picture, watch a TV show, or load a video on Facebook or YouTube? Are your new devices unable to connect to your home WiFi or when new devices join the WiFi, your internet speed decreases? Maybe it even seems like the web surfing and TV watching you were doing a year ago was faster than what your current internet speed will allow. 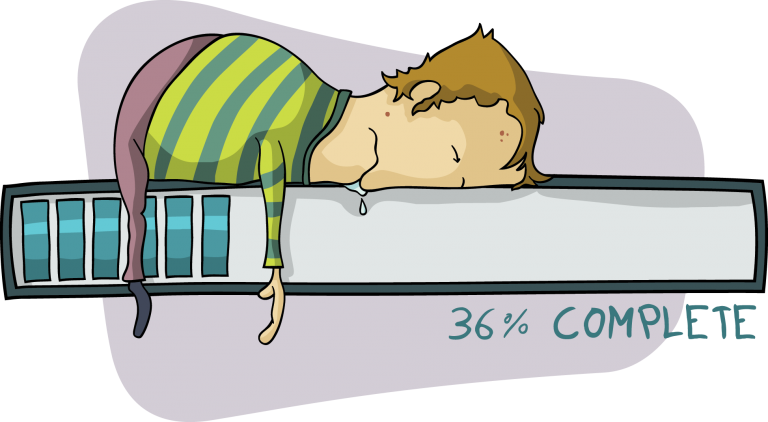 If you can relate to any of those feelings, it may seem like your internet is getting slower. Unless you changed your internet speed package, your internet speed remains at the same level it always has been. However, your bandwidth usage has increased, which makes your internet connection seem slower. There is a distinction between an internet connection and bandwidth. A device can have a strong internet connection—full bars on the WiFi icon—and still not have a fast connection experience. Bandwidth refers to the amount of information a specific connection can handle at a given time. So what does that mean? Bandwidth is like your water pressure. The easiest way to understand the difference between bandwidth and connection strength is to think of bandwidth like your water pressure. If a home has decently sized water line pipes, you can easily run a single shower or appliance that uses water and experience high water pressure. The more appliances, showers, and faucets using water at one time in a household, the lower the water pressure will be. Bandwidth works in the same way as water pressure. 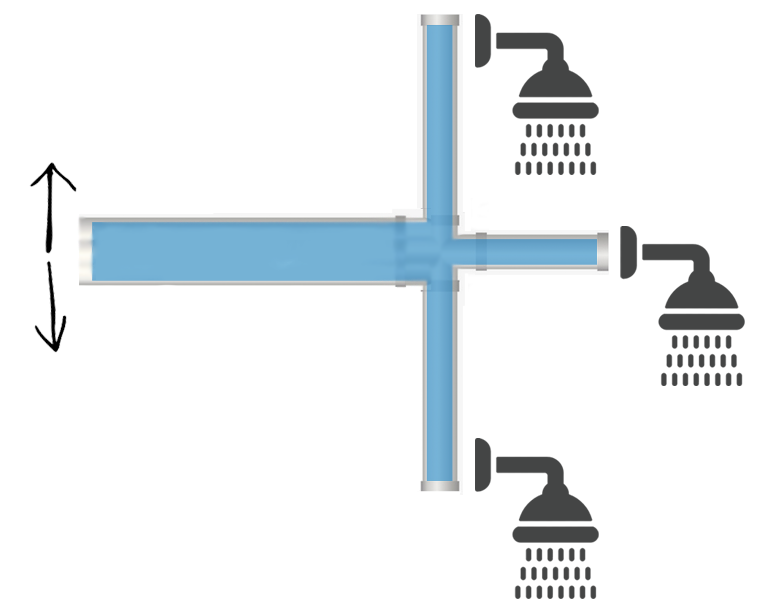 The more appliances and faucets using the available water source, the less water pressure available for each source. Similarly, the more devices on your WiFi connection, the less bandwidth that’s available for each of the devices. What does that mean for you? Well, if you have a small bandwidth package—25mbps or lower—your bandwidth will only be able to support a few devices at a time. A 5mbps bandwidth connection typically only supports one low quality TV stream and maybe one or two smartphones, if the connection is having a good day. 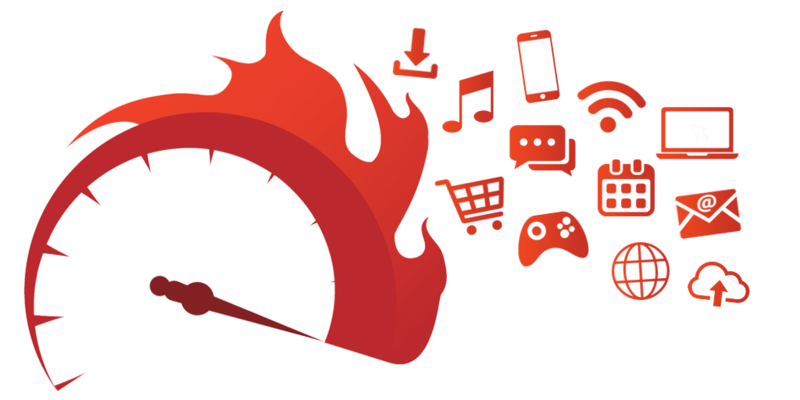 The lowest speed that we offer is 25mbps because we understand that most households like to stream with two or more devices while perusing the internet, playing games, or scrolling through Facebook. and requires a larger speed package. Another influential factor in the quality of your internet connection speed comes from your router. Buying a router seems very daunting, as there are a many brands, styles, and speed options available in store. Routers can also be deceiving because the advertised box speed is not the actual speed that the router can handle. On top of all those decisions, routers are expensive and require maintenance to upkeep a quality internet performance. How do you know which router will work best in your home? And why is it important? A router controls and organizes the flow of internet traffic in your home. A smart router can tell the difference between a smartphone scrolling on Facebook and a 4K HD TV that’s streaming a movie and divvy up bandwidth accordingly. Your router controls your internet quality, as it is the device that communicates with your electronic device and the internet. Just like you can increase your water pressure capacity by increasing the pipe size coming into your home, you can increase your bandwidth capacity by increasing your internet speed package, or “bandwidth pipe” coming into your home. 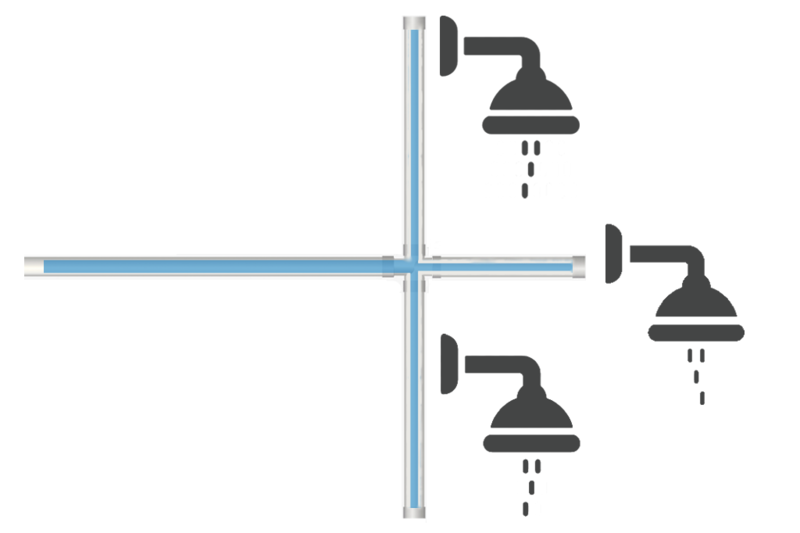 A larger water pipe delivers more water to the various pipes that connect to the shower, faucets, and appliances, allowing more water to make it all the way to that source. A larger “bandwidth pipe” increases the bandwidth available for each of the devices being used on the network. That means that the HD TV can now stream 4K videos while other members in the house can use their smartphones or computers without disruption. 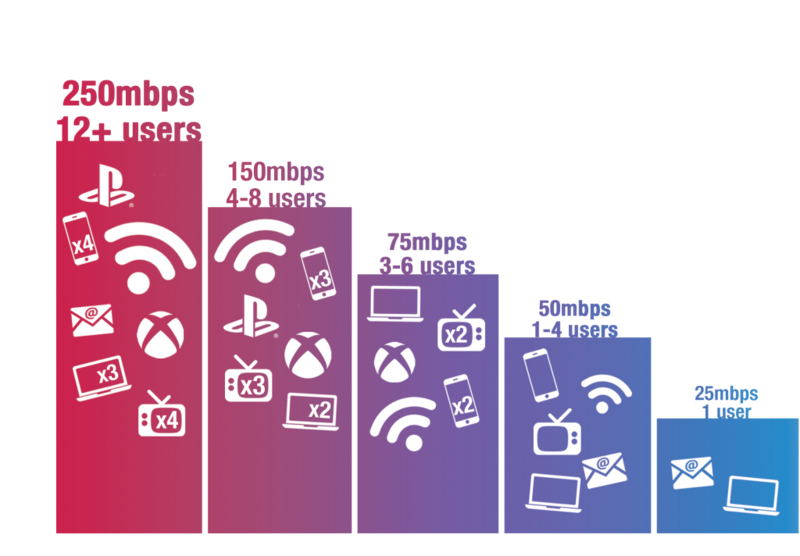 If you’re not sure what internet speed you need, you can look at how many devices you have and what you use the internet for with this chart! Or you can put in your individual devices and items in this internet usage calculator. After you find the best internet speed for your usage needs, you need to check that your router can keep up. MDTC offers a Wireless Network Management program, which you can read about here, that includes a high quality router. If your internet provider doesn’t provide a router, you are still eligible to use our router even if you have a different provider or you might have to purchase one. A typical home has 5 to 8 devices that use the internet. This count does not apply to smart homes that have devices like Alexa or Google Home, a smart lock, etc. For the best connection, a home with this number of devices should have a 50 to 75 mbps internet package as a minimum. If your home has a fiber connection, a 50 to 75 mbps package will ensure that 5 to 8 devices will have a quality connection. If you’re not sure of your current internet speed, you can check your speed on Google or click here!